Show your customers a running total and make their purchasing experience better. 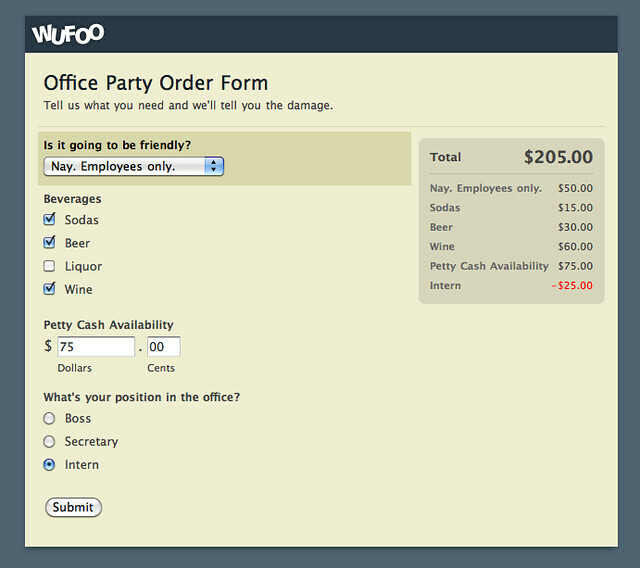 This feature works with all payment enabled fields like Dropdowns, Multiple Choice Fields, Checkboxes and Price Fields. We even made everything work with Negative Price Values (they show in red on the form), so you can show discounts and even coupon values right there on your form as they fill it out. Running Total is available to all paying users with access to payment enabled features. It’s enabled by default on all new payment forms and can be easily turned on for existing forms under each one’s Payment Settings. The feature is also available to be used with all of our merchant integrations except for Chargify. Thanks go out to Chris and Alex for making the magic happen on this one. We hope you enjoy showing prices live to your users!